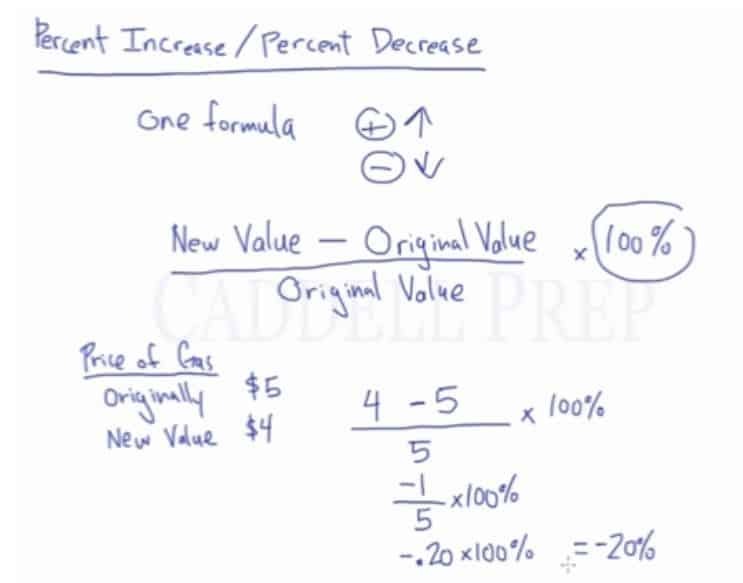 In this video, we will be learning how to determine percent change. The price of gas was originally $5. The new price for gas is $4. What is the percent change? Let’s go through percent increase and percent decrease. The price of gas was originally . The price went down to . What is the percent change? Let’s use the formula and substitute all the given values. Since the answer is positive, it means it’s an increase.